Constantin Schiffner was born in 1999 in Lübeck, Germany. At the age of 6 he started studying piano with Vadim Goldfeld. He won several international and national competitions and special prizes. Besides the 1st prize at the “Italian Concorso Internazionale Valsesia Musica Juniores” and the 1st prize at the “Chinese German Piano Competition” in Hamburg, the pianist won divers 1st prizes in the German national competition “Jugend musiziert”. Furthermore Constantin Schiffner received special prizes from the “Deutsche Stiftung Musikleben”, the Classic Prize from the city Münster, as well as the WDR3, the “Jütting Prize”, the “Diethard Wucher Prize” and the “Marler Debüt Prize” followed by a concert with the “Bergischen Sinfonikern”. Ever so often the pianist concerts with his sister Felicitas Schiffner (Violin). Together they have played with the “Dortmunder Philharmoniker” under the baton of Giuliano Betta, as well as at the international festival of the Classical Music Academy Tscheljabinsk (Russia), at the Kulturgut Hasselburg and at the Schleswig-Holstein Music Festival. He also completed masterclasses with Stefan Vladar, Jacques Rouvier and Pavel Gililov. In addition to his pianistic education he received organ classes with Prof. Hartmut Rohmeyer, cello classes with Hans-Christian Schwarz and conducting classes with Prof. Mathias Husmann. 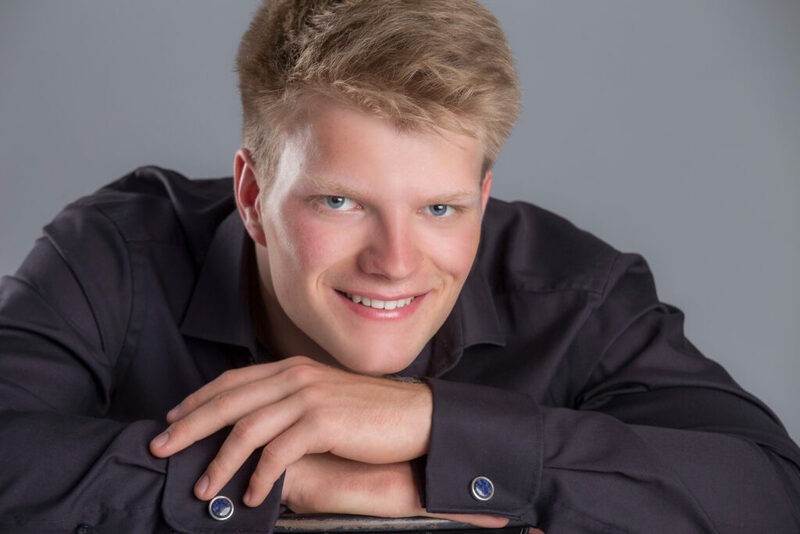 Currently Constantin Schiffner studies conducting with Prof. Ulrich Windfuhr and piano with Prof. Delphine Lizé at the “Hochschule für Musik und Theater Hamburg”. If you are interested in working with Constantin, please get in touch with the EMCY Office.